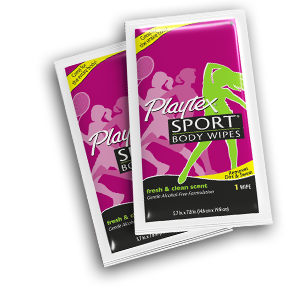 Fill out the form here to request a free sample of Playtex Sport Body Wipes. 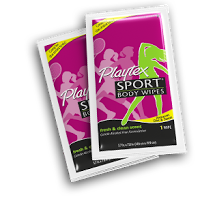 The sample includes 2 body wipes and a coupon for $1 off. Allow 4-6 weeks for delivery. One sample pack per household. I also forgot to tell you that when I saw the sale at Amazon on the Leapfrog DVDs, I ordered the letter one. I think I should be getting it any day! Thanks for keeping me up on all the great deals! I’m happy that you are lovin’ these deals. 🙂 And your family will really like the Leapfrog DVD. Tabitha loves them.